We had a long debate over the auction of Instagram by Facebook, and come to know that Facebook at the moment is not going to do anything with the application and the largest community of good photographers. However, later sometime we got to know by our sources and community members that Facebook is up to launch a new application called Camera which integrates the number of Instagram filters, and will allow users to share their photos directly on the biggest social network of the world. In short, we learned that they are about to kill the Instagram community by having rights on doing anything with the application. Few weeks ago, we learned that Facebook has rolled out new application update to Android users which contain two new applications within the single Facebook app. The new app contains the new Facebook Messenger app, and the not announced Facebook Camera app that actually allow users to upload their photos to their connected Facebook profiles. After receiving such information from the users, we shocked a bit that finally Facebook is about to kill the community by increasing the competition, and providing the new features first to Android. 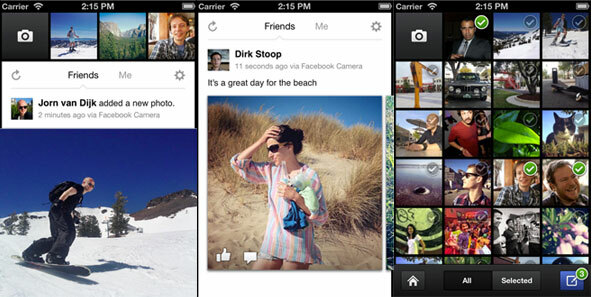 However, now today, Facebook has finally come up with a nicely written new application called Facebook Camera for the iOS users, which allows you to quickly capture and share the photos on the Facebook profiles, without using any kind of third party applications on your devices to make them beautiful like the Instagram photos. Facebook Camera is available to download from the App Store for both iPhone and iPad users, and it does come with 15 filters of Instagram and is capable of take & upload the photos for more than 2048 by 2048 pixels directly to Facebook’s profiles. 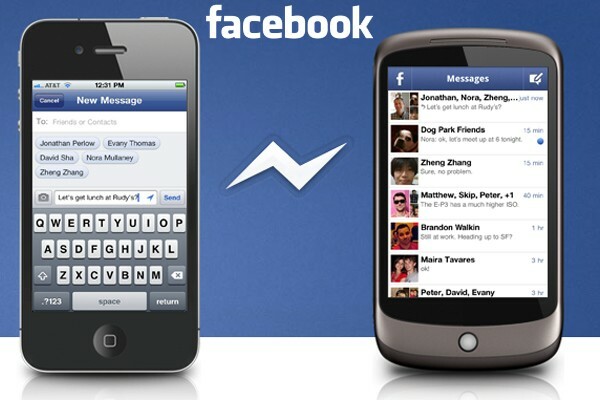 Facebook is rapidly moving ahead to launch new companion apps for its social network, and they have already released the number of updates to its Facebook Messenger application, which was rumored to be getting killed by Facebook.